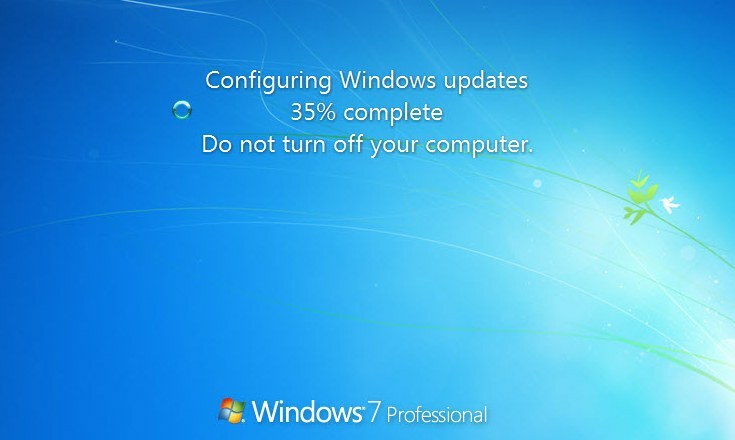 Microsoft’s recently released April 2019 update for Windows 7, Windows 8.1 and some server editions is causing users computers to freeze. In this article, we’ll tell you why that happens and how to fix it. The problems with Windows April 2019 update are caused by a conflict with some third-party antiviruses. The update conflicts with Avira, Avast and Sophos security solutions and the conflict causes computers to freeze, get stuck when applying the update and fail to boot. The antivirus software manufacturers published support articles about the update and the problems it causes. Sophos is actively investigating the conflict and working on a fix. In the meantime, Microsoft put a block on conflicting updates when it detects that a system is running one of the conflicting security solutions. Which Updates Cause the Conflict? Additional tests by Avast confirmed that the KB4493472 and KB4493448 updates are also problematic, and so is the KB4493435 Internet Explorer security update. Avira also contributed to the list of conflicting Microsoft April 2019 updates, stating that KB4493509 for Windows 10 and KB4493472 and KB4493448 for Windows 7 cause Windows to run a lot slower than it should. Boot your Windows PC into Safe Mode. You can read how to do it in these articles for Windows 10, Windows 8 and Windows 7. When in the Safe Mode, disable your antivirus. Optional: re-enable your antivirus but make sure the conflicting updates don’t get downloaded and installed automatically again.